Overcast is a new, and much anticipated, podcast app from Marco Arment. Arment was part of the team that created and launched Tumblr. He is known for Instapaper, and is a guest, host, and pundit on numerous tech podcasts. I have tried a number of podcast apps over the years on my various iOS devices and while some are definitely better than others, I have yet to find the definitive app. 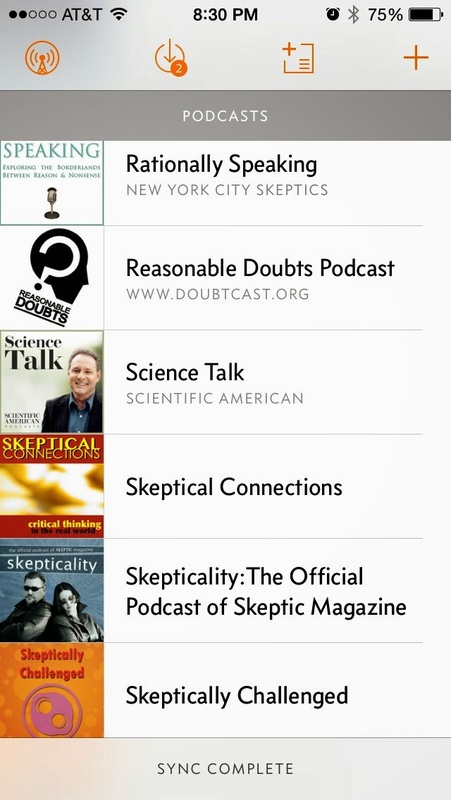 After Overcast, I am still in search of the definitive podcast app. This is not to say Overcast is a bad app. I am rather impressed by it, would recommend it, but it still has some foibles. The user interface is quite attractive to my eye and was clearly designed with the iOS7 aesthetic from day one. It was relatively easy to import my podcast feeds from Castro and Downcast. One can only import the feeds and not actually download the episodes. After listening to Arment discuss his app on The Talk Show, apparently this is a function of Apple’s sandboxing than a misstep by Arment. Downcast has some neat tricks. 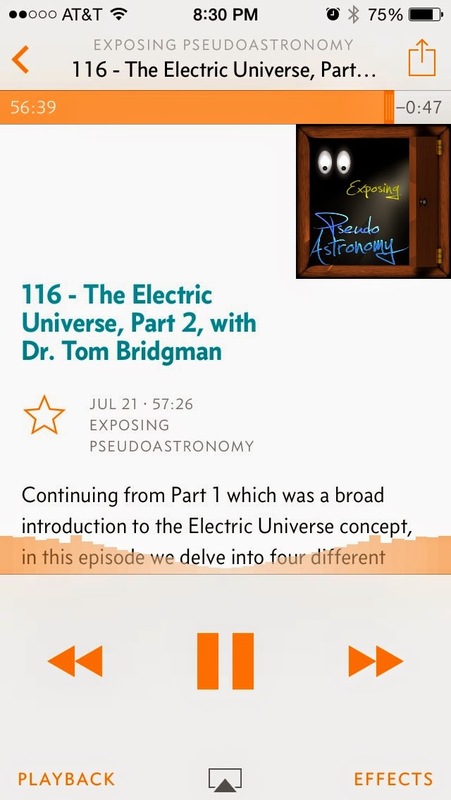 When playing back a podcast, the app not only allows the listener to hear the podcast played back at increased speed, but also something called ‘smart speed’ where the playback compressed quiet periods between spoken sections. This alone appears to save speed up the playback by 10% or so, and the listener can increase the playback speed to boot. It seems to work fairly transparently, and only on occasion does the algorithm cause distortion. For those of us with a long podcast queue, this is a big time saver. Also, one must register to use Overcast, which I have never had to do for a podcast player before. Reason for the account is if one logs into the Overtime website, you can see your podcast feed list and start listening to individual podcast episodes where you left off listening on your iOS device. It’s pretty slick. Things I find annoying about the Overcast experience is there seems to be a lag from when a podcast is released and when Overcast picks it up compared to other podcast apps. 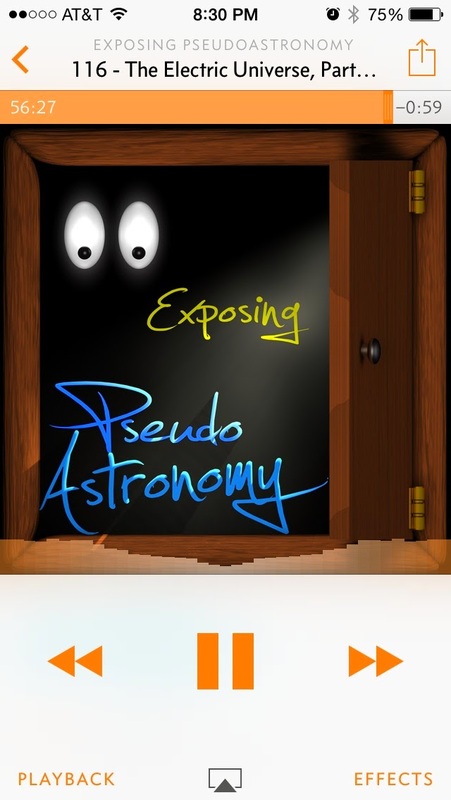 I received a tweet that a new Exposing PseudoAstronomy was released, and I could download it onto Downcast, but it was not available on Overcast. Also, I dislike the podcast playing automatically once you tap on an episode. I like to read the notes of an episode and don’t want to just start listening. Finally, the App currently does not support streaming although apparently this function is in the works for a future update. Overall, I like Overcast. I suspect it’ll bump Downcast from my springboard and I’ll use this new App and Castro for the time being. It is nice to be able to start listening to a podcast as it is being downloaded, and I do that a lot. There Castro has a leg up for the time being. The App is free to download and use, but all the features are not unlocked unless you pay $4.99 in an in app purchase. I think it is worth the money for heavy podcast users who dwell in the iOS world.